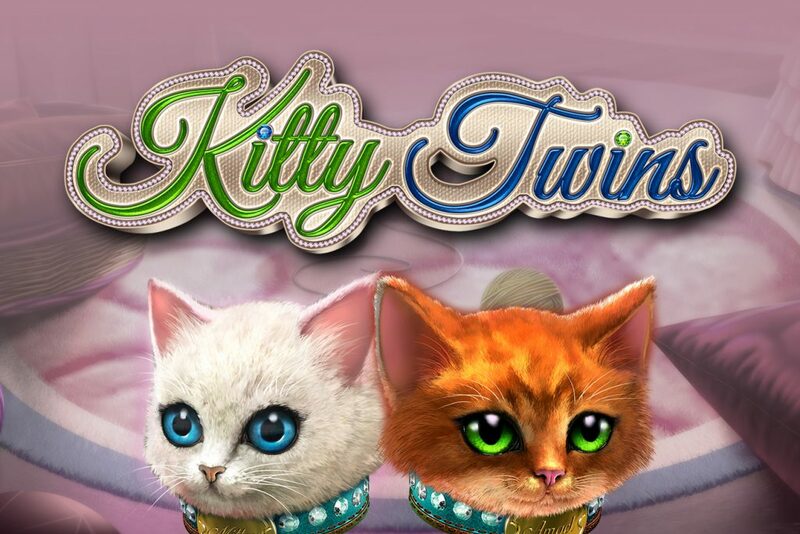 Allow some cute kitty love in form of big wins in the KITTY TWINS slot game. 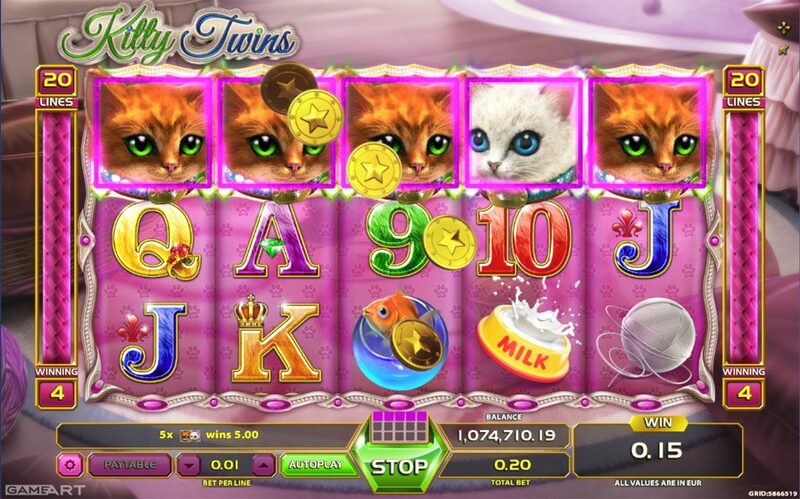 The 5 reels – 20 pay line game offers a lot of fun with its kitty characters combined with the Magic Paw symbol that appears on 2nd reel and reveals randomly a symbol. 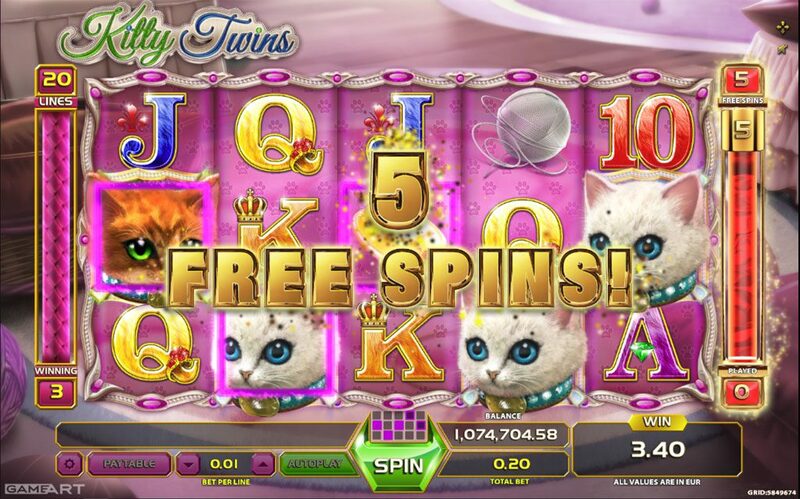 Win 50, 20, 10 or 5 free spins with 5, 4, 3, 2 Kitty symbols appear, beginning from the leftmost reel, from left to right on adjacent reels. 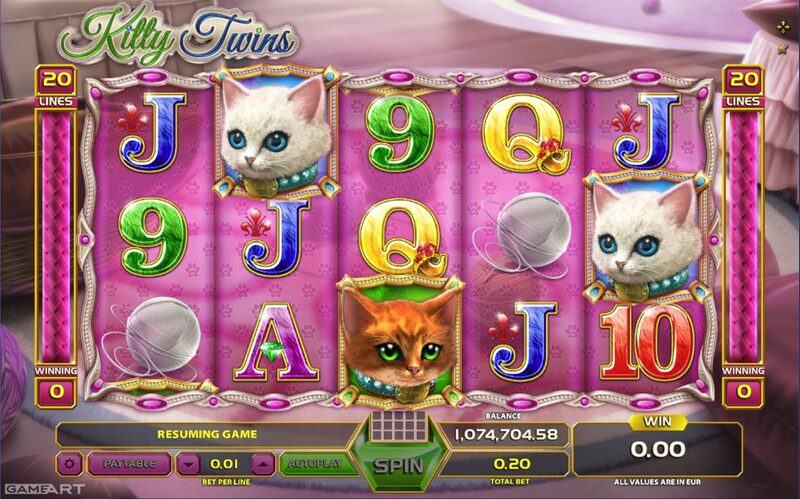 All wins during free spins are DOUBLED! Bonus feature can be retriggered during the free spins.